You may or may not have heard much about “positive affirmations” yet – but you will. It’s a fad that’s going around personal development and entrepreneur circles these days and it’s really nothing new. What are positive affirmations? It’s the practice of saying something you want to be true of yourself, to yourself. Over and over and over. The idea is to convince your psyche that those statements are really true of you. I can see how it helps when the things you’re saying to yourself really are true but you’re just having a hard time believing them (and there are many reasons that could be the case). If your positive affirmations are not based in reality – you’re next door to crazy. I’ve been pondering this topic for a long time and finally felt it was time to record something, to bring you in on the thoughts I’ve been having. Because if you’re going to build a business, online especially, you’re going to hear this topic mentioned over and over. And as a Christ-follower, you need to know what is true about it or you might get sucked into some pretty damaging stuff. What’s concerning about how they are used? Why they don’t really work and what’s happening when it appears they do? [0:43] Why I’m concerned about positive affirmations. [2:00] The typical purpose of modern affirmations – the good and the bad. [4:44] Why affirmations appear to work in some cases (and what’s really happening). [6:17] The responsibility of Christ-followers in light of the practice of affirmations. [8:14] The role of faith and the scriptures in building your own beliefs. [11:20] Why pragmatism isn’t the way forward for believers in Christ. [14:55] How to use the “promises” of scripture to set your believing mindset. A compilation of tips, mindsets, and practical approaches to business from over 20 top entrepreneurs. A few years ago I reached out to around 100 top entrepreneurs I'd gotten to know online and asked them if they would be willing to contribute to a compilation style book to help up and coming business owners and entrepreneurs get a quicker start at building their own businesses. 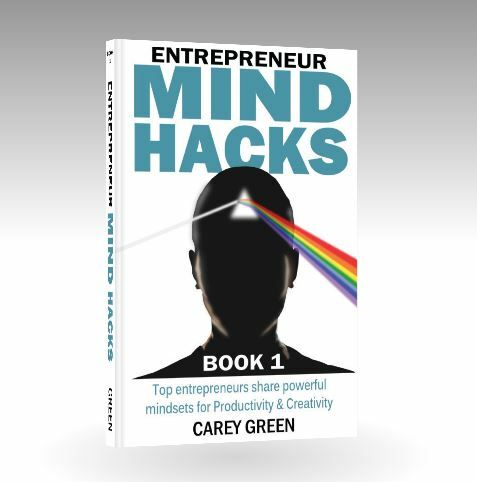 In the end, I had around 30 of them respond - and "Entrepreneur Mind Hacks" - volumes 1 and 2 were the result. As my thanks to you for your interest in LIVE - BUILD - CHANGE I want you to have this free ebook copy. Just drop your name and email address in the slots below and I'll send you over download links to the PDF, MOBI (Kindle), and ePUB (iPad) versions and you can take your pick! You will also be subscribed to the LIVE - BUILD - CHANGE blog so you'll be notified every time I post something new here on the site. That's the best way for you to get updates and notifications about resources, events, or other stuff that can help you LIVE your faith, BUILD your business, and CHANGE your world. Thanks!